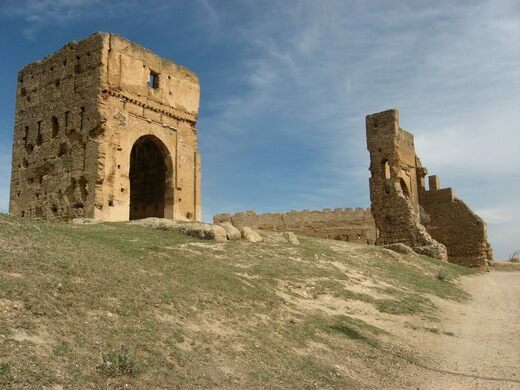 Looming above the northern walls of the Fez Medina are the skeletal remains of the Merenid Tombs. Built in the 14th century, the tombs were once the sumptuous resting places of the Merenids’ finest, but after years at the mercy of conquests and looters, they lack most of their original decorative charm. 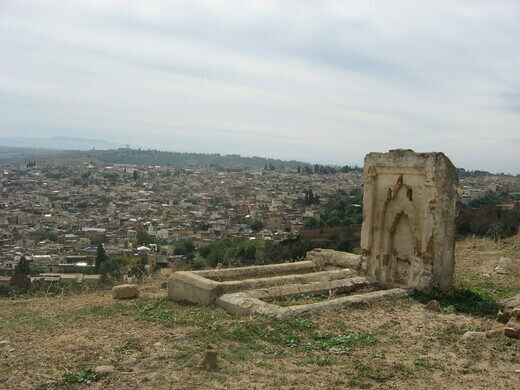 What the remaining tombs lack in aesthetics, though, the view makes up for. Below, the whole of the Fez Medina stretches out to the East in a patchwork of minarets, laundry lines, satellites, and the occasional garbage fire. 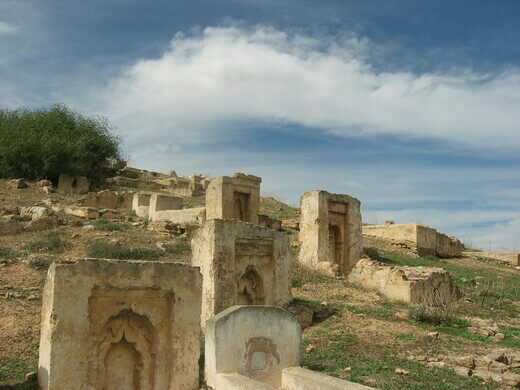 Carved into the hills are man-made caves that serve as dwellings for some of Fez’s less fortunate. The amount of empty beer cans lying around is a good clue-in as to what the late-night atmosphere is like, and any local will tell you the tombs are a well-known mugging ground for “gauries” (“honkies” in colloquial Moroccan). Directly below the tombs on either side of the cliff are two large graveyards that are used as grazing grounds for local shepherds. Unfortunately, the area is rife with trash, but there are also plenty of animal bones lying around to complement the spookiness. Easily visible from from Casbah En Nouar, it's a 15 minute walk and next to Hotel Les Merenides. The courtyard of this small Marinid madrasa is a dazzling example of intricate Islamic architecture. Beautiful palace stands tall over the Fergana Valley.